Losing your teeth doesn’t mean you have to lose your smile. Dentures can improve your quality of life as well as your self-confidence. From aesthetic to oral health benefits, dentures help return normal oral function, preserve facial profiles and enhance the strength of your muscles. This is the most straightforward way for Streamline Dental Solutions patients to replace all of their teeth at one time. If only a few teeth are missing, removable partials are an alternative to full dentures. Like bridges, partial dentures replace a few teeth at a time – except they are removable. If any diseased teeth need to be removed prior to the denture therapy, the gum tissues are allowed a period of healing for the best fit possible. Immediate dentures are a faster alternative for tooth replacement. Rather than waiting for days or weeks to recover, the teeth are delivered the very same day that any necessary teeth are removed. This prevents the need to go without teeth while you heal. At the follow up, our expert dentists then adjust the dentures to fit the healed oral structures comfortably and securely. Occasional adjustments may be needed so that they do not feel loose. This improves speaking, eating and comfort. Have your dentist check your denture regularly for fit, function, and health of the jaws underneath. Removing your dentures at night keeps your mouth healthy and free of infection. Brush your dentures to keep them clean before soaking them overnight to loosen any additional debris. Our expert dentists offer complete start-to-finish denture care near Blacksburg. 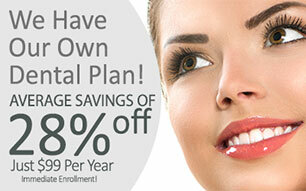 Schedule your private exam with one of our dentists today!